Chickadee Jubilee: Elections and a Currently...Already? And Farley is at it again...another monthly chance to see what everyone is up to! Check out what we are all up to and link yourself up! It is banned book weeks, so I chose to read, A Wrinkle in Time. My dad and I drove to Seattle for the last home Mariner game and we listened to the audio book. Loved the story! I don't fully understand the new MLB Wild Card System, but it sure made the last few days of baseball exciting....did you all see the Rangers/A's game!? We do a lot of art and I never get it sent home nicely unless it fits into a 9x11 folder! 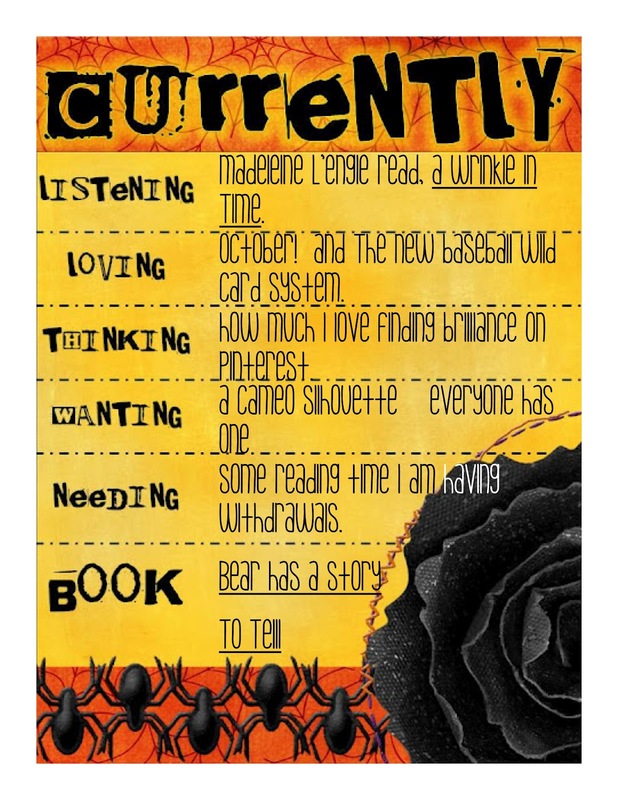 Pinterest to the rescue...look what I found! 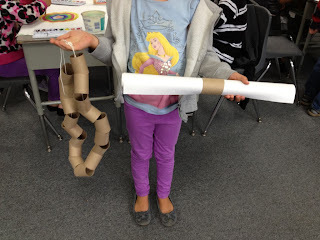 Toilet paper tube for artwork! We read, Bear Has a Story to Tell this week. What an adoreable story. In fall, Bear has a story to tell. Bear's friends are all too busy getting ready for winter to hear his story. An interesting circle story that starts in fall but goes through the rest of the seasons! Go check it out!!!!! Link up and don't forget the rule of three! I found your blog through Farley's Currently linky and became a follower. I love the title of your blog. Very cute! I too am always looking for inspiration on Pinterest. Love the toilet paper roll idea. I will need to try that one! I need reading time too! It is so hard to fit it in!! Love the post season baseball! Enjoy your friday! Uh oh... I have a book buying problem and you just helped feed my addiction! 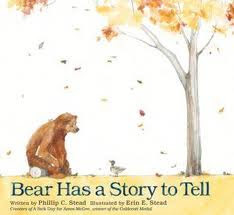 :) "Bear Has a Story To Tell" sounds adorable and perfect for a seasons unit! Thanks! I'm pinning the bear book. It looks so sweet! I need to get the bear book! I really love the toilet paper tubes. I'm going to use that to keep my class poems and songs organized. Today I was looking for an apple song that I wrote out and decorated last year...If only I had rolled it up and put it in a tube labeled with the name of the song, I would have found it! Thanks for the inspiration!! I'm your newest follower:) I had to stop by and check out your blog. I love a Wrinkle in Time! I need to get my reading time in too! I want a Cameo too!!! When I get my bonus check in December I'm thinking I'm going to get a Cameo and a Kindle. 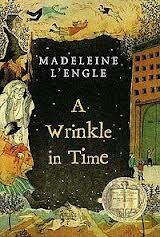 "A Wrinkle In Time" is one of my favorite books!